The main aims of our Active Week were to re-generate interest in being more active and to increase the number of minutes spent exercising daily. A lot of fun was had while achieving these aims. 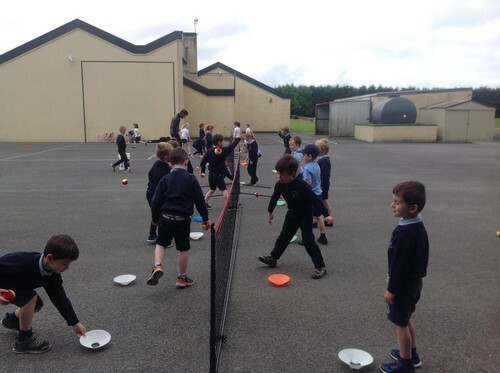 A big thank you to all the teachers and SNAs for their enthusiasm in facilitating each of the activities Well done to the children for the huge effort made in all areas. Our visiting coaches and instructors were impressed with your good manners and energy! Thank you to Ms Nyland for organising the week.